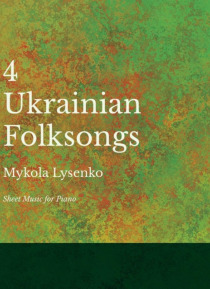 Four classic Ukrainian folk songs composed by Mykola Lysenko. Songs include: NS N z N NZ, z N N N N , N N NS N NS, z N N N N N . Classic Folk Music Collection constitutes an extensive library of the most well-known and universally-enjoyed works of folk music ever composed, reproduced… from authoritative editions for the enjoyment of musicians and music students the world over.